Several rural Australians with strong connections to the nation’s cattle, sheep and grain industries have been honoured in the the 2019 Australia Day awards. 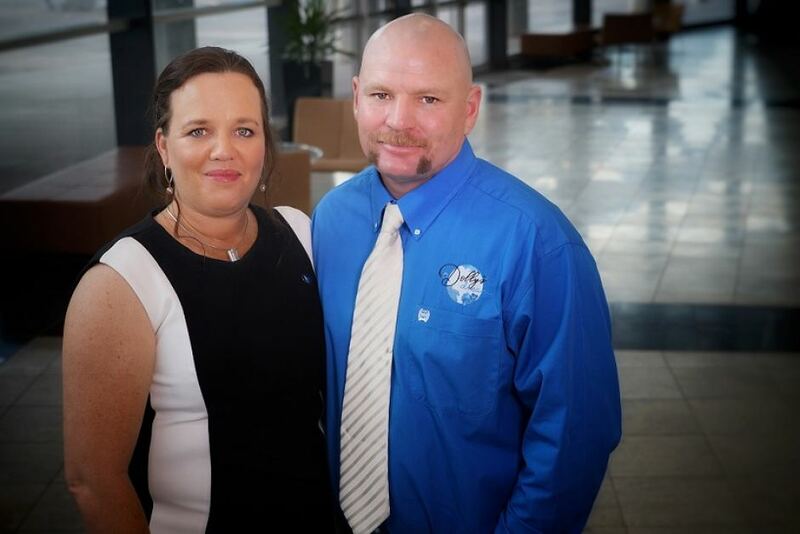 NT cattle station managers Kate and Tick Everett, were last night named Australia’s 2019 local heroes for their actions to end childhood bullying. Kate and Tick tragically lost their 14 year-old daughter Dolly to suicide in January 2018 as a result of bullying. They have since created anti-bullying initiative, the Dolly’s Dream Foundation, to create positive change and a legacy to their daughter. Foundation chair Troy Setter said many bush communities and stations have got behind their work, which runs programs to educate all children and parents, but especially bush kids about online, social media and all types of bullying and youth suicide. National Australia Day Council chair Danielle Roche praised the Everett’s efforts to prevent similar tragedies from happening to other families. “Kate and Tick Everett endured heartbreak and put their own grief aside to drive cultural change, prevent bullying and ensure that other children and parents never have to suffer as their family has,” Ms Roche said. Among the recipients of the highest Australia Day honours in 2019 was University of Technology, Sydney Professor and former CSIRO chief plant scientist Dr Elizabeth Dennis of the ACT. The plant molecular biologist was awarded a Companion (AC) in the General Division of the Order of Australia for her service as a researcher and academic in the area of genomics and plant development, which included recognition of her involvement in planning the sequencing of the cotton genome. Former Federal Nationals leader and Deputy Prime Minister Warren Truss from Hervey Bay was also awarded a Companion (AC) in the General Division of the Order of Australia for service to the Parliament of Australia, particularly in the areas of trade, transport, agriculture, and rural and regional development. Former New South Wales Primary Industries Ministerial Advisory chair NSW Rice Marketing Board chair Council chair Robyn Clubb, Araluen, NSW, for significant service to primary industry, to agricultural societies, and to the community. Farm machinery inventor Peter Kelly, Kelly Engineering, South Australia, for significant service to mechanical engineering through the development of innovative farm machinery. Crawford Fund for International Agricultural Research Professor Lester Burgess, Warrawee NSW, an internationally recognised plant pathologist and expert on the biology and control of Fusarium diseases, and former Dean of Agriculture at University of Sydney, for significant service to international agricultural research in the areas of plant pathology and biosecurity. Charles Sturt University Emeritus Professor and Australian Council of Deans of Agriculture co-founder Jim Pratley, Wagga Wagga, NSW, for significant service to agricultural science through roles as an educator, researcher and adviser. Country Women’s Association national president Tanya Maree Cameron, Fernbrook NSW, for service to the community, particularly to women. Australian Wheat Forecasters founder Brian Herbert Bailey, Brighton, Victoria, for service to the grain industry. Former Victorian Farmers Association vice-president and Wangaratta chief administrator Ailsa Jeanette Fox, for service to the community, and to primary industry. ACT woolgrower John Robert Ive, Flynn,, for service to the superfine wool growing industry. Fletcher International Exports managing director Roger Fletcher, Dubbo, NSW, for service to primary industry. Australian Food and Agriculture (Boonoke and Wanganella) stud master Forbes Murdoch, Evans Head, NSW, for service to the wool growing industry. Former head of ABC rural and national programs Leigh Radford, Crafers, SA, for service to the broadcast media in rural and regional areas. The late Ethel Margaret Stephenson, Victoria, promoter, exhibitor and judge of heritage livestock (in particular the English Leicester Breed), for service to the livestock industry. Former executive manager of the South Australian Grain Industry Trust and Australian Grain Technologies business manager Geoffrey Neil Thomas, Blackwood, SA, for service to primary industry. Former Cotton Consultants Association (now Crop Consultants Australia) president Geoffrey Gordon Brown, Middle Ridge, Qld, for service to the cotton industry, and to the community of Wee Waa.